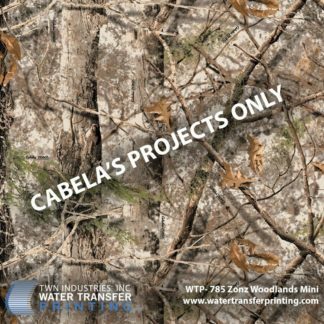 PRINCETON, FL – May 5, 2015 – TWN Industries Inc., the leading water transfer printing supplier, announces the release of Cabela’s three new camouflage hydrographic film patterns: Cabela’s Zonz™ Woodlands, Cabela’s Zonz™ Waterfowl and Cabela’s Zonz™ Woodlands Mini. The new hydro dipping patterns are printed using an innovative new wide-format technology that enables them to incorporate three distinct “zones.” With natural transitions from one zone to another, Zonz camo blends more effectively with variations in terrain and vegetation. 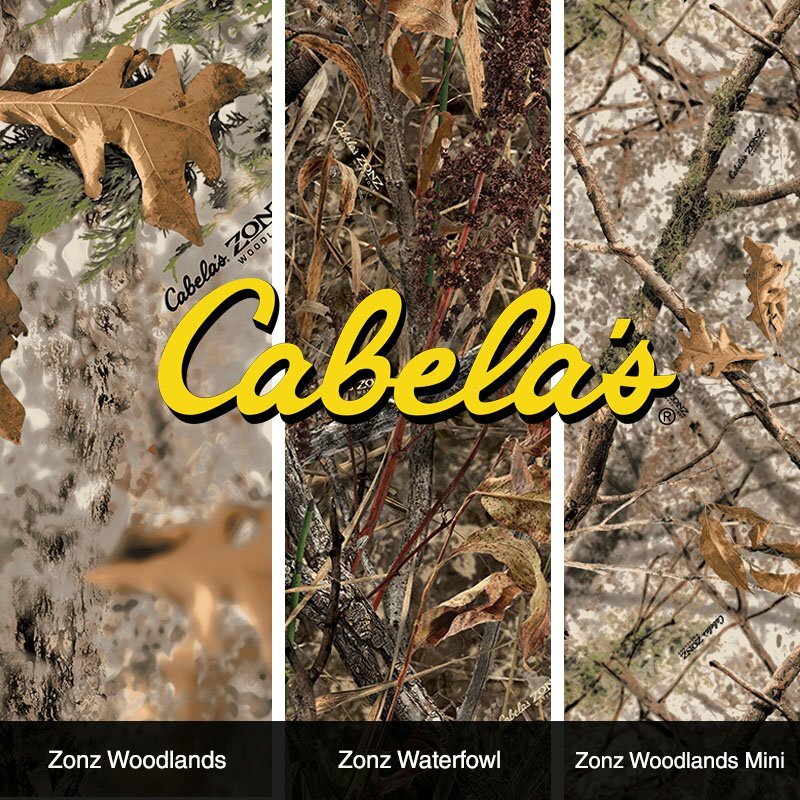 Cabela’s Zonz™ incorporates a photorealistic macro pattern and a digital micro texture background. This ground-breaking combination gives Zonz unparalleled depth and realism at close range and long distance. 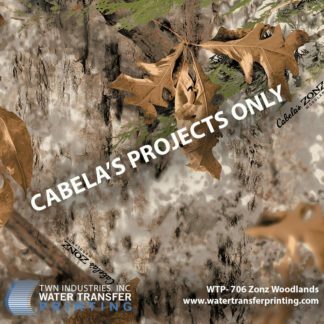 TWN Industries is the official supplier of Zonz™ film to manufacturers who currently work with Cabela’s. This film is available only to projects sanctioned by Cabela’s and one of their authorized buyers. Sample parts may be submitted to TWN Industries for processing and visual presentation to Cabela’s by contacting. Mike Richards or Jeff Graham at 305.258.9622.